Previously we mentioned about the Mozilla Firefox web browser beta 2 release with new features such as Smart Location Bar Enhancement and new Tab preview panel, now the development team has again upgraded its famous Firefox web browsers to the latest release with Firefox Beta 3, one step nearer to final release candidate version available for public. 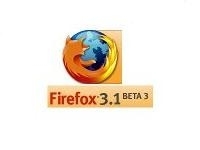 For those that are interested to be beta tester, they can download one at Mozilla website. As similar to other pre-production release software, you may experience compatibility issues on certain websites and the team do appreciate some valuable feedback so that they can further improve it before next release.